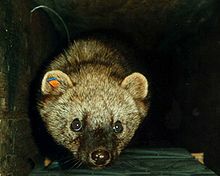 The fisher (Martes pennanti) is the second largest member of the weasel family found in Massachusetts; only the river otter is larger. Although many people call them "fisher cats," the name is inappropriate. They are neither members of the feline family, nor do they catch fish. They are, however, fascinating predators! We'll watch video of an orphaned young fisher as it learns through trial and error, and we'll learn about the habits and signs of animals like otters and minks, the fisher's Cape Cod relatives. CLAMS doesn't have it? Search ComCat! We show a feature film on the third Thursday of each month. We provide snacks and drinks. This month's feature is Green Book (2018), starring Mahershala Ali and Viggo Mortensen. A working-class Italian-American bouncer becomes the driver of an African-American classical pianist on a tour of venues through the 1960s American South. The film is rated PG-13 and has a run time of two hours and ten minutes. Like to read? Like to talk about what you read? The DPL Book Club meets on the third Wednesday of the month. Like mysteries? The Mystery Book Club meets on the second Tuesday of each month. Read the book, then join us for a great discussion. Explore our collection of digital newspapers featuring The Register and The Barnstable Patriot, as well as issues from other titles assumed by those periodicals over the years. Get free eBooks, audiobooks and magazines from OverDrive. Or try the new Libby app to get the same great content! Freading offers even more eBook choices! A Dennis Public Library card is required. Want to access the catalog on your mobile device? Get the app! Dennis Public Library is part of a great library system! In addition to the libraries in Dennis, with your CLAMS card you have access to all CLAMS Libraries across the Cape. Copyright 2010 Dennis Public Library. Powered by Blogger.